As you probably know by now, we report on most of the fraud cases we come across in the vacation rental industry. We do not support the frauds in any way, and the only reason we report on them is because we want build awareness about this problem since it is one of the biggest issues our industry is facing at the time, if not the biggest. In the past, we have usually reported on scams that have taken place on websites such as Craigs List. 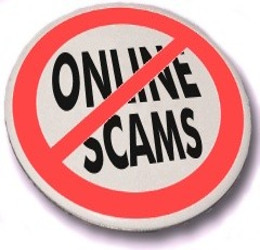 However, lately we have seen more and more scams that have taken place on legitimate vacation rental portals. We came across a consumer advocate and journalist called Christopher Elliots website where he reports on a case where an individual rented an apartment in London, England. The tenant, Steven Silverman, paid £1,350 for an apartment that he had found on HomeAway. He had also asked for a unit with air-conditioning  something he didnt get. To top it all of, the apartment was disgusting when Steven and his family showed up. It had not been cleaned from the prior renter. There was food in the refrigerator and used soap on the sink in the bathroom. We were exhausted, needed to take showers and go to sleep, even without the air conditioning. When we went to use the shower, it had also not been cleaned. The shower mat was black in places and was filthy. Even more incredible, there were only two bath towels for three people. Silverman ended up moving out the next day and took in at a hotel instead. He also asked the landlord for a full refund, something the owner agreed to. However, no money was ever put into his account, and he later received a check with so many errors on it his bank would not accept it. At Barefoot, a provider of property management software, we believe that frauds and scams are what is damaging our industrys reputation. Even though the advantages of a rental compared to a hotel, the fear of being scammed will always be in the back of a tenants mind. We think that something needs to be done, and fast. We would like to hear your input and ideas on what you think can or should be done. To read the full story about Steven Silverman and his struggle with the London apartment, please visit Christopher Elliots website.